Under The Trees, 2018 Festival is set to again bring great live music, street theatre, circus acts and a unique atmosphere to Boyne Island! 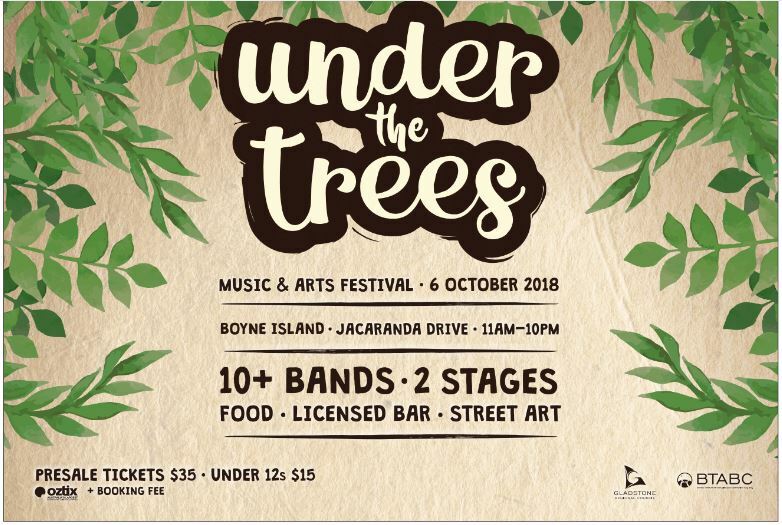 Held on Saturday 6th October and located “under the trees” off Jacaranda Drive, this laid-back music and arts festival amazed attendees at the inaugural event in 2017. It’s a perfect setting “under the trees”. There are two stages The Nest & The Shrubbery along with street theatre performances, two bars and multiple food stalls. Interstate and local acts will perform a mix of genres ranging from blues, funk, rock and reggae to deliver a grassroots outdoor festival experience for all ages! Artists include emerging and visiting Australian bands and performers along with local acts, artists and makers. For those travelling to attend the festival, camping is available next door to the site at the Boyne Island Caravan Park. There is limited seating available on site, ticket holders are welcome to bring their own seating to settle in and enjoy an afternoon “under the trees”. 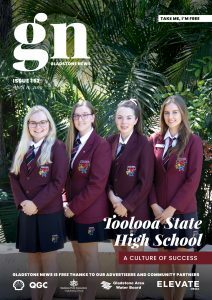 Tickets can be purchased via Oztix or in person ahead of the festival at any of these locations; Boyne Island – BITS Medical Centre & Hair on Boyne, Tannum Sands – CC Fitness Addicts, Gladstone – Yaralla Fitness Centre, Willy Ed’s Music Store and Gladstone Backpackers.